Growing up in Texas you hear a lot about the oil fields, and all the rich magnates at the top living in the “big houses”, from the poor, wizened oil field workers at the bottom. You hear a lot about the dangerous, all but suicidal nature of the job but, you hear much more about the money it’s possible to make. My grandfather used to say “The oil field’s a great place for a gambling man”. Watching The Iron Orchard, I understood exactly what he meant. I really felt transported to West, Texas, in the body of a young oil fielder on a quest for love, riches and whatever else we think we need to be truly happy. However, by the end, I felt solemnly reminded of the true tenants of happiness in life, even when we’ve gone about as far astray as we can go. 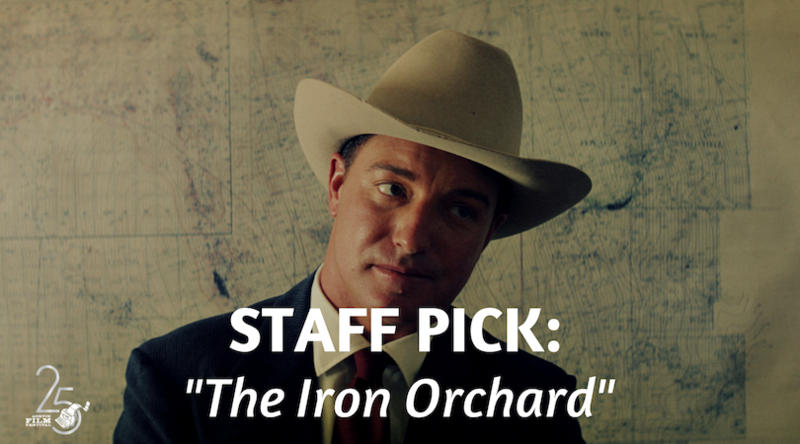 A true Icarus story, The Iron Orchard is a Texas-bred film through and through and a must-see this October!